Driver Education (DE) is your chance to progress beyond autocross which requires you to exit the track after each lap. 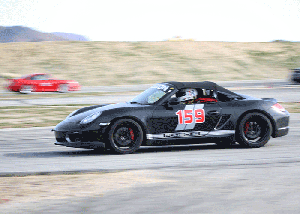 Unlike autocross, you remain on the course for the entire session. Also, cars are sent out on the course in groups, not individually. This means that in addition to finding the fastest/safest line around the course, you must also deal with traffic. Inevitably, cars will bunch up, and passing is a required and expected part of a practice session. 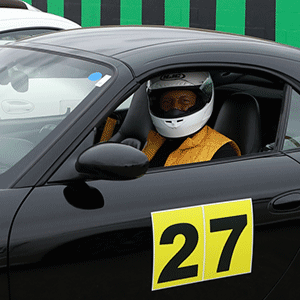 DE let’s you experience continuous lapping, limited passing in a highly structured fashion, and experience faster speeds than would be found in an autocross format, without having to worry about your lap times, as DE’s are not timed. 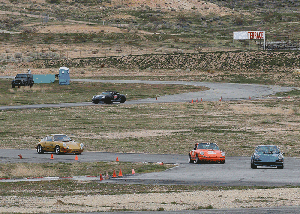 DE’s (as they are known) can be run in a large parking lot (like an autocross) or on a real race track. Tracks are designed or chosen to provide a fun and challenging test of your driving skills, and prepare you for higher speeds. Instructors are always available to assist new student drivers, or those wishing to improve their driving skills. 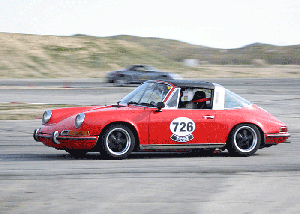 DE’s are the stepping stone between Autocross and Club Racing. The goal of the PCA’s Driver’s Education Program is to provide a safe and structured learning environment where participants can improve their driving abilities and acquire a better understanding of their vehicle dynamics and driving safety. Participants will experience first-hand the capabilities of high performance automobiles in a controlled environment and acquire skills that will enhance safer vehicle operation in all driving situations. 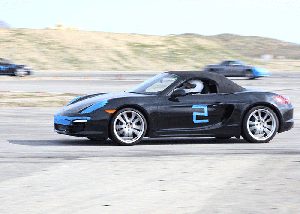 Like any new sport, your instructor will guide you into this exciting world of high performance driving. These events are safest way to learn the engineering dynamics that went into the development of this famous racing marque. PCA DE events are not racing. 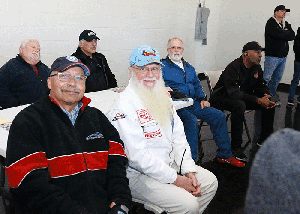 No times or placings are recorded, and no awards or prizes are received by the participants of PCA Driver’s Education events; just a lot of fun and camaraderie. 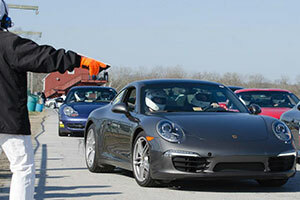 Any conduct considered by the Porsche Club of America to be either unsafe or inconsistent with the spirit or purpose of the Driver’s Education Program will not be permitted. This approach keeps the event safe for all participants. 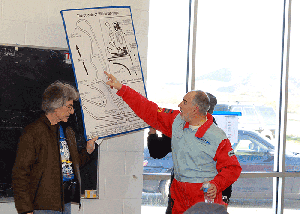 Safety equipment requirements are more stringent than for Autocross. Your car must meet the requirements set in the Zone rules and must pass a technical inspection. Having your car checked out prior to the event at an authorized inspection station is strongly recommended. This is critical as your safety and the safety of those around you are paramount to PCA. Want more information on DE? Check the PCA website at www.pca.org/driver-education.